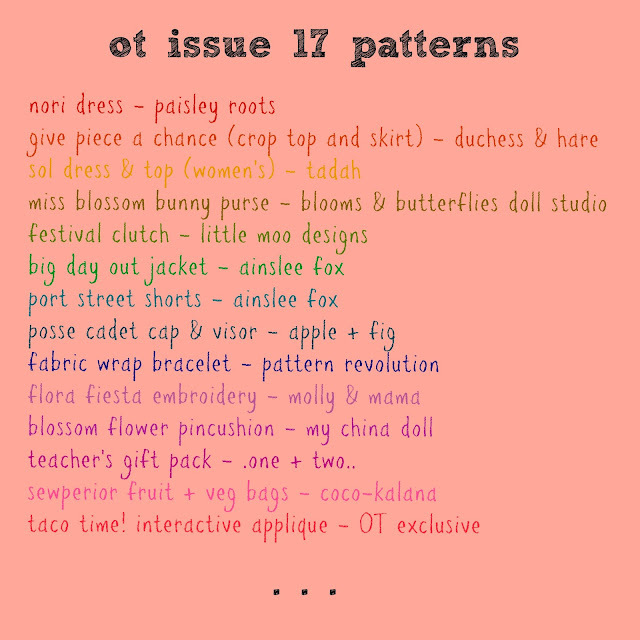 elli & nels *in stitches*: One Thimble: Issue 17! 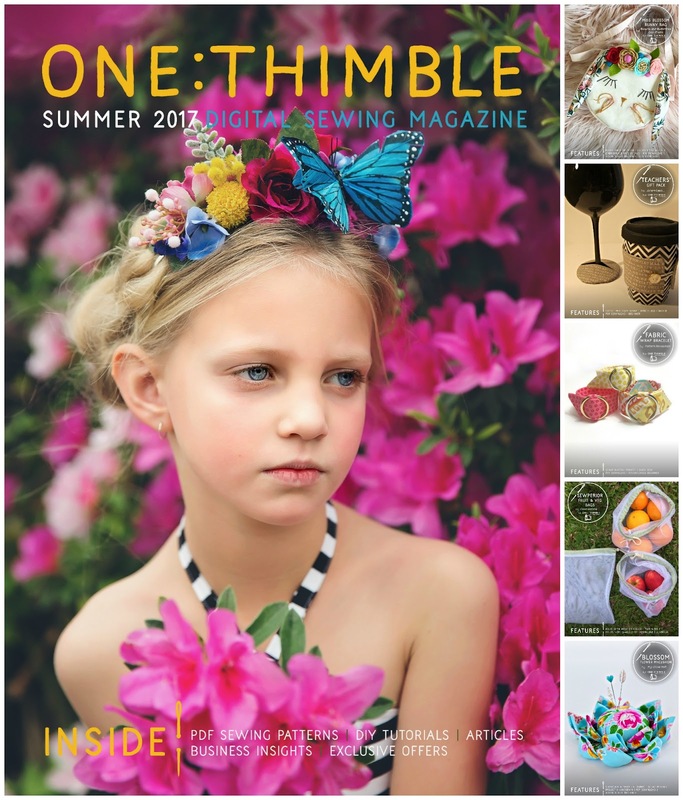 One Thimble Issue 17 is out, and the theme is all about those bright colors, sassy style, and flavorful accents! 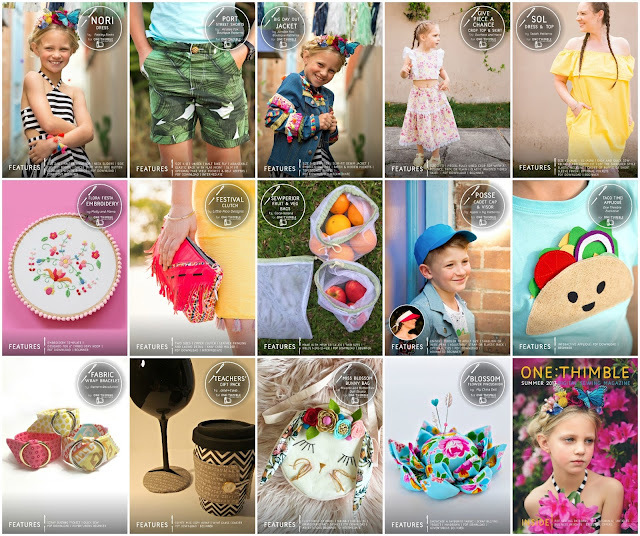 Whether it's quick gift ideas or a perfect-for-embellishing denim jacket, Issue 17 is loaded up with adorable, fun patterns for everyone in your life. Make sure you watch the tour for a stunning women's dress and top, and I don't think I need to say this but taco appliques are for everyone. So first things first. One Thimble includes a separate ZIP file with all the patterns, so you don't have to go hunting down pieces in the magazine. There are articles galore - lots of business based, such as a breakdown of social media and who/what in the handmade business each platform is most helpful for; photo editing/Insta-stories tips; podcasts (broken down by subject of interest! ); and graphic design help. The podcasts article was really helpful for me. I don't think I've ever listened to any, and part of that was not knowing where to find them! 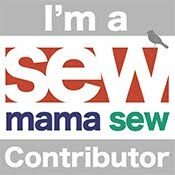 The lists are perfect - now I can find some to try based on what I feel like hearing about (sewing, life in general, even parenting.) I do love to have some background noise while I'm sewing! There are also exclusive coupons for patterns, fabric, even a handmade business - so make sure you get your copy and your discounts! This issue includes 14 patterns. 6 are clothing, 8 non clothing. 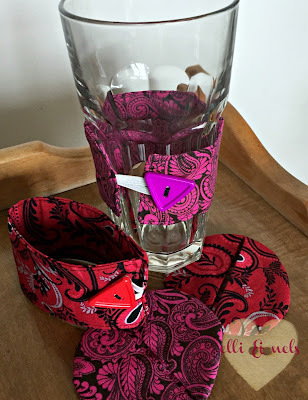 I am definitely putting the fabric wrap bracelets on my "to make" Christmas list - I love how quick and simple they are, and what's more easily customized to your recipient than fabric choice, with all the colors and prints at your disposal? 5 of the patterns are from the winners of the recent One Thimble competition, "Share a Sewn Project" that asked entrants to design a gift to sew. Those winners are the bracelet, teacher's gift set, bunny purse, fruit bags, and flower pincushion (posted here). I chose one of those gifts to sew up, as well as the Posse Cadet Cap + Visor from Apple + Fig. 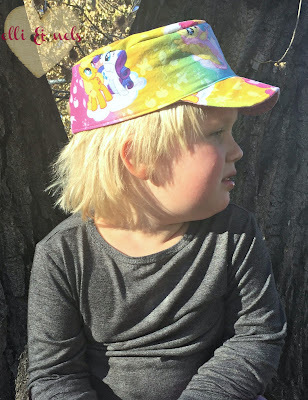 I've sewn exactly one hat before, and it didn't go very well. I don't believe I kept it around very long. 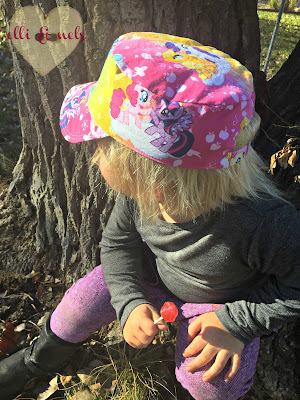 But the Posse cap went together so well, and the end result has everyone happy - me, because I did it! - and my girls, because My Little Pony is a must have around here, and they got to pick the fabric! I only had a half yard of the print, and didn't know what to do with it - with a simple polka dot lining, this pattern was perfect. 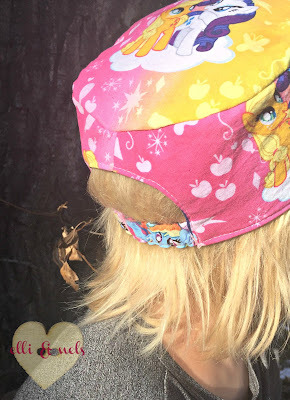 It comes in a large size range to fit small children up to adults, and my girls fall somewhere in the middle - this is a Large, with an elastic band on the back. It fits snugly and I'm assured it's comfortable! 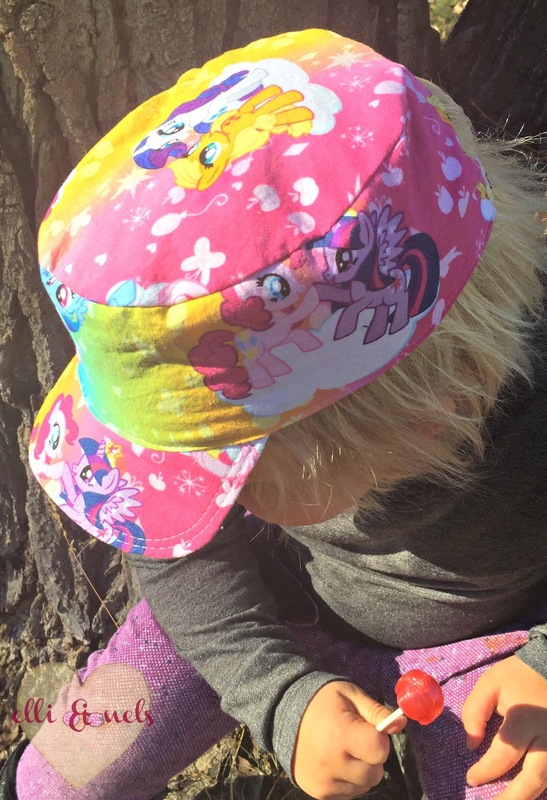 I used a fusible interfacing for the brim that isn't as stiff as I thought it would be (once it got bent a couple of times it gave up) but it does the job. 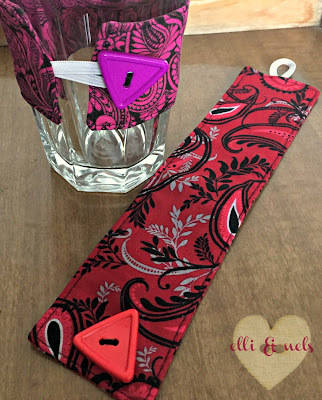 There are interfacing suggestions in the pattern, so if you're like me and use a lightweight for everything because clothes are all you sew, don't fret! You'll know just the right ones to get, if you don't have something you "think will work" hanging around! 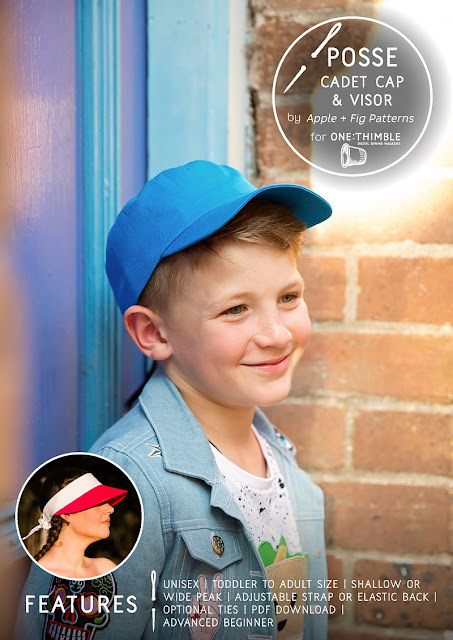 I love that there is a visor option, too - that'll be a fantastic option for summer, since none of us like wearing sunglasses! 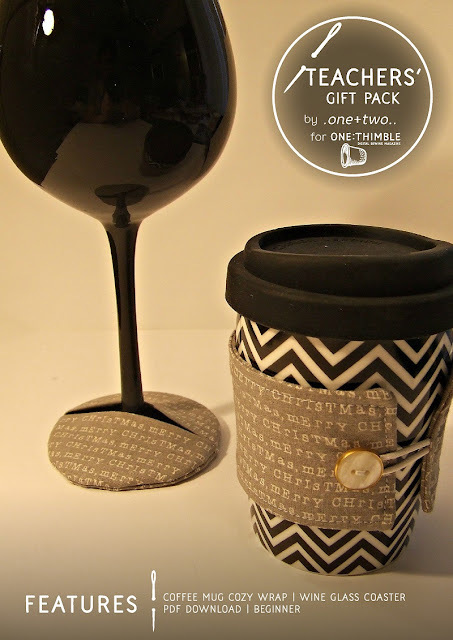 The gift idea I chose to sew up is the Teacher's Gift Pack from one + two. I love these reusable coffee cozies - I'm going to make a few to keep in the car, because I never remember those cardboard ones when I make my Starbucks runs (plus, these ones are washable - and cuter!) 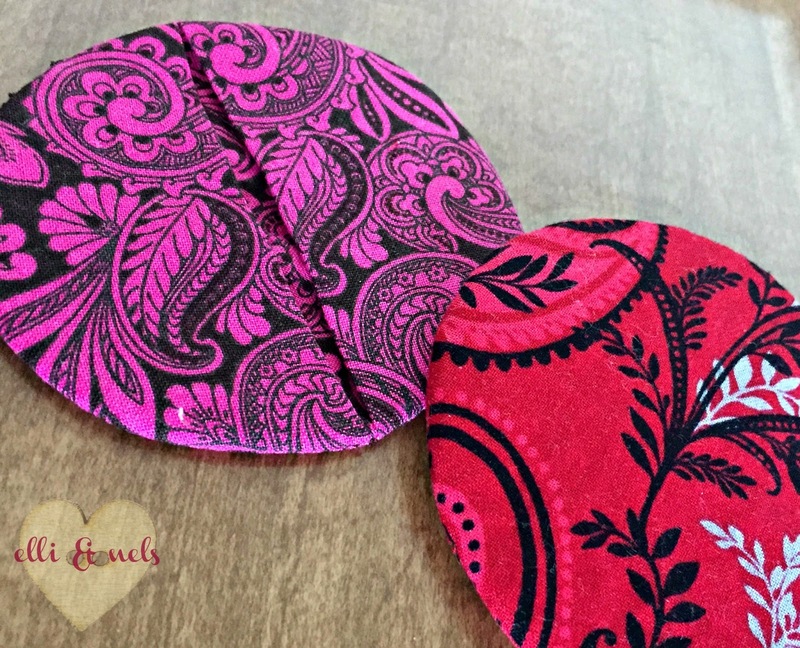 They are such a fast sew, and the pattern also has a wine glass coaster that's just as quick and simple. I made up a couple of sets; we don't have wineglasses in our house so I can't model them, but the simple design allows the coaster to slip around the foot of the glass, keeping your tables ring-free, and if you make a bunch of different ones your guests can tell their glasses apart! 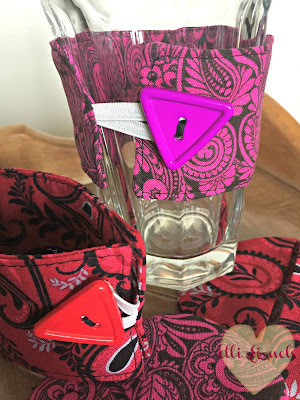 I used 1/4" elastic on my coffee cup cozies, but an even better option (and you can match colors) are elastic hair ties. They're just thin and strong enough to slip around a button. What's next on my list? Besides the fabric bracelets, when all my Christmas sewing is caught up I'm making myself that fabric pincushion, and the denim jacket is calling my name. What pattern caught your eye? This is lovely! My daughter would go nuts over this cap!!! Thanks Jen! MLP gets a LOT of love around here ;) Enough to drive me a little nutty sometimes but it keeps them happy!